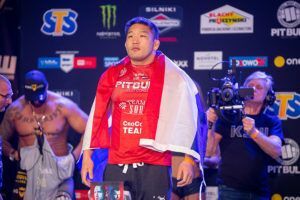 Satoshi Ishii gutted out a hard-fought split decision over Fernando Rodrigues Jr. in his debut at KSW 47 from Poland on Saturday. 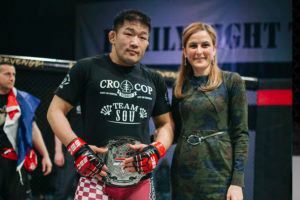 The Japanese Olympic gold medalist in judo joined the promotion on a five fight win streak as he looked to immediately get into title contention in the heavyweight division. Ishii looked to set the pace early as he came after Rodrigues with an aggressive game plan that saw him swim forward with punches before looking for the takedown repeatedly. With plenty of gas in the tank, Ishii was constantly pressing the action but he struggled to get Rodrigues to the ground as the KSW veteran did a good job staying upright while peppering his Japanese counterpart with punches every time he got inside. 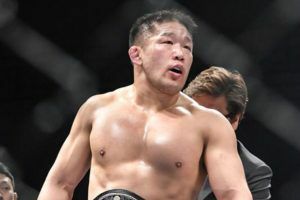 As time ticked away, however, Ishii started getting caught with more and more punches as his attempts to get inside were a little more reckless and it allowed Rodrigues to begin working his way back into the fight. The second round saw more of the same with Ishii moving forward, looking for combinations on the feet and then diving inside with his grappling attacks. Rodrigues was stuck playing counter fighter, and while he was definitely connecting with some of his shots there’s no doubt his passiveness probably hurt him on the judges’ scorecards. Perhaps the biggest moment in the entire fight came when Ishii charged forward and connected with a stiff right hand that blasted Rodrigues and sent him down to the canvas in a heap. Ishii pounced on him looking for the finish while Rodrigues was scrambling in an attempt to break free or at least stop from absorbing any more damage. While Ishii was definitely on the attack, Rodrigues managed to survive and get back to his feet and by the end of that scramble it was clear that both fighters were going to be searching for oxygen going into the third round. Ishii and Rodriguez were decidedly slower in the final five minutes, although both fighters had their moments during several striking exchanges. What likely decided the fight was Ishii’s ability to move forward and surge ahead in small bursts that kept him in control of the offensive output while Rodrigues was left just trying to counter him on every takedown attempt. In a game of inches it was Ishii who managed to push just a little bit harder and a little bit further to get the job done. When the fight was finally over, Ishii got the nod by split decision with the scorecards reading 30-27, 29-28 and 28-29. 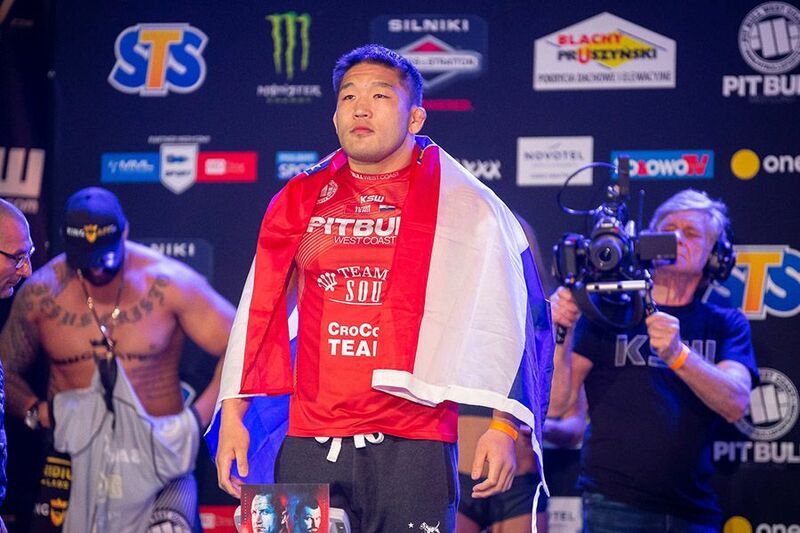 With the win over Rodrigues (12-5) in his KSW debut, Ishii (21-8-1) will likely get his wish to fight for the heavyweight title in his next fight as he looks to set up a showdown with current champion Phil DeFries. In the main event at KSW 47, DeFries (17-6) earned a lopsided unanimous decision over Tomasz Narkun (16-3) to defend his belt and now he may be staring across the cage from the Japanese judoka in his next fight later this year.